Haiku by myself. Photo is from National Geographics website. 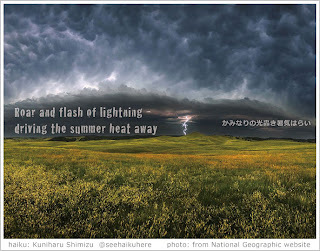 It's been a very very hot summer here in Japan, and finally during the past few days, after rains and lightnings, temperature and air began to change. Beginning of cooler season.